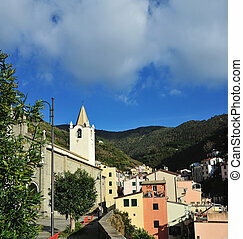 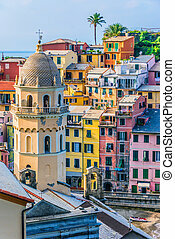 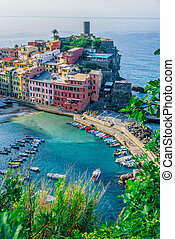 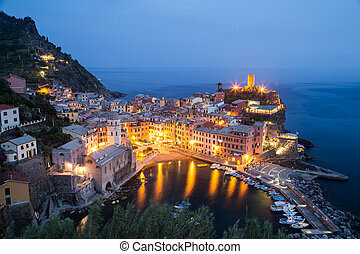 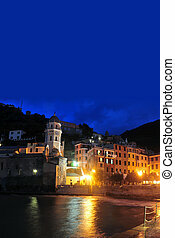 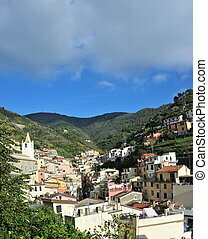 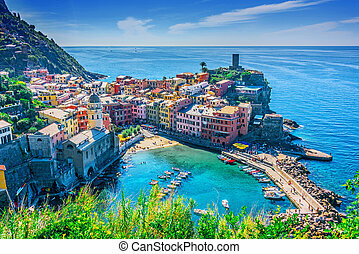 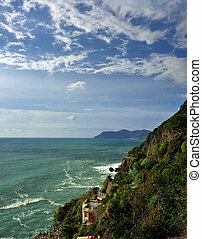 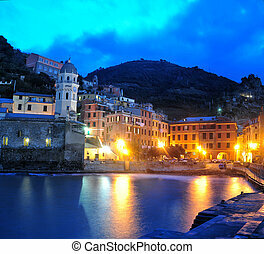 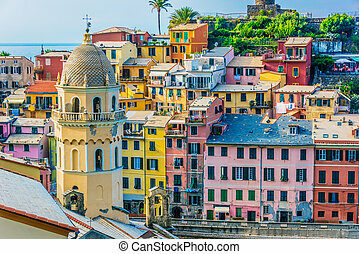 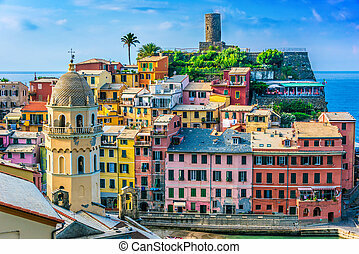 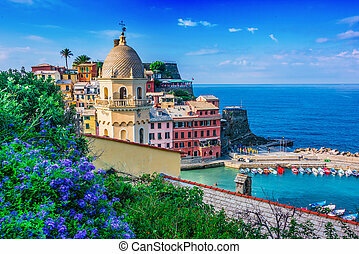 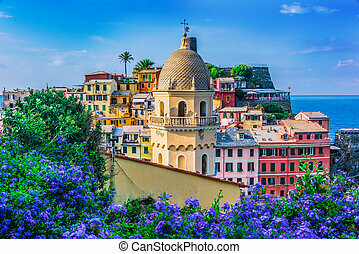 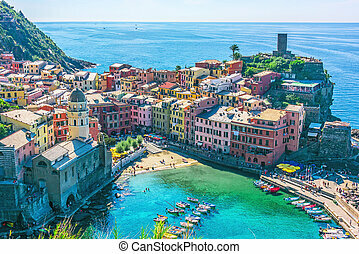 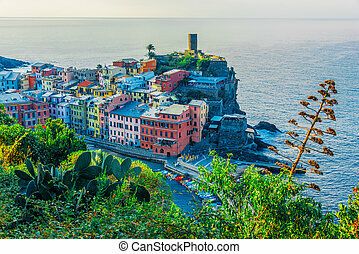 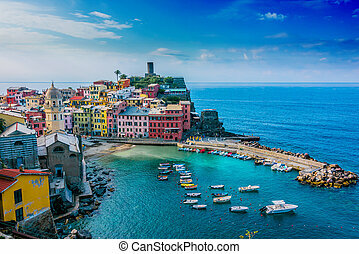 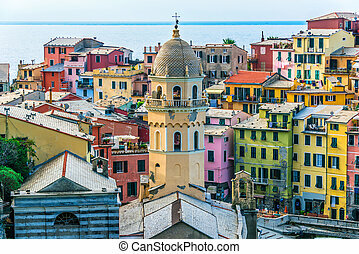 Aerial view of Vernazza - small italian town in the province of La Spezia, Liguria, northwestern Italy. 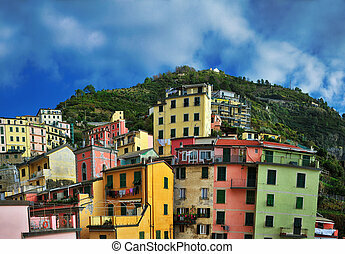 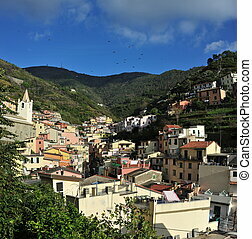 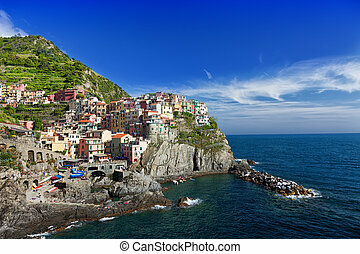 View of Manarola. 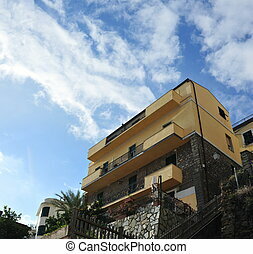 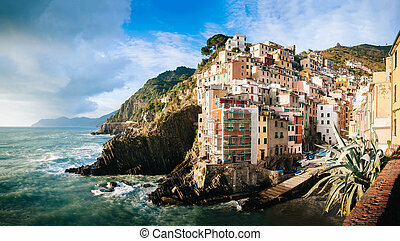 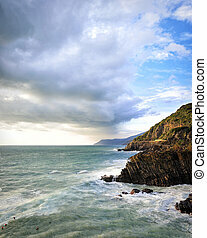 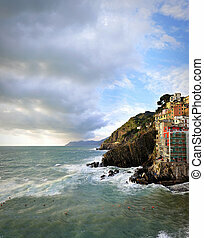 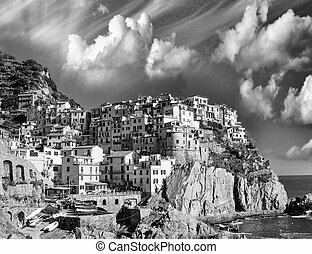 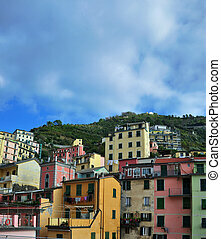 Manarola is a small town in the province of La Spezia, Liguria, Italy. 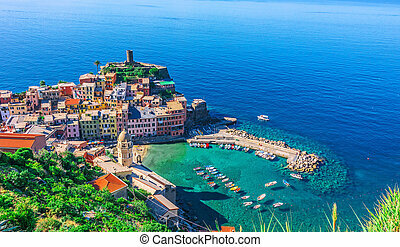 Aerial view of Vernazza - small italian town in the province of La Spezia, Liguria, northwestern Italy. 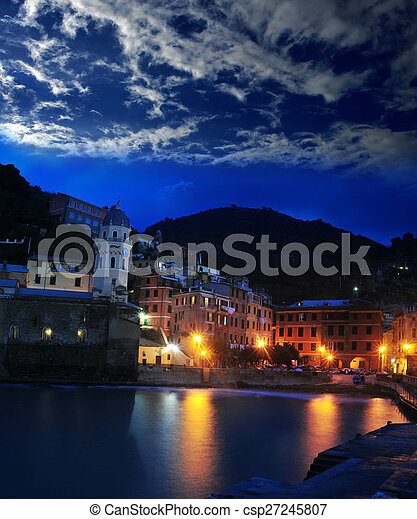 dusk .